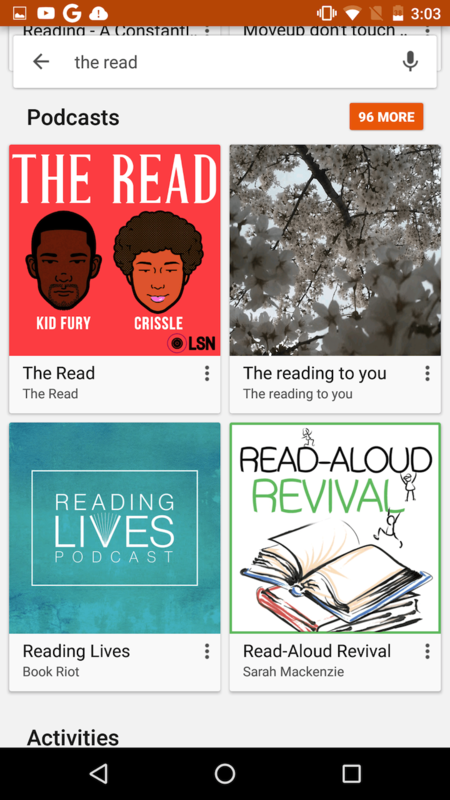 We’ve known since last October that Google Play Music was getting ready to welcome podcasts into its fold of audio entertainment, but yesterday Sportscaster Bill Simmons broke the news that the feature was going live this month. 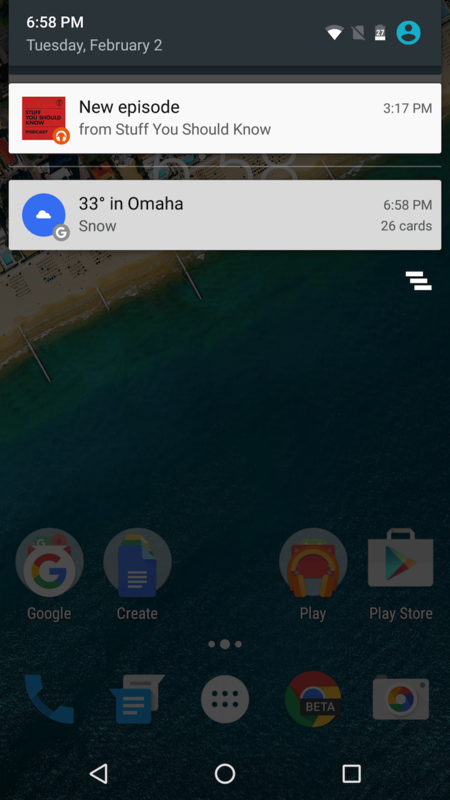 It turns out that the option is already active for a few Android users through the weird magic of server-side A/B testing. 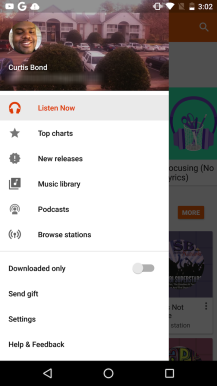 Our own Cody had already gone through a mini teardown of version 6.3 of Google Play Music that was released last week, and found lots of hints that podcast support was being thoroughly implemented. 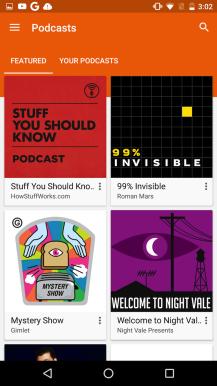 It seems that the feature was almost ready by then and the switch has been flipped for a few users who have started seeing a Podcasts icon in their app’s side menu. 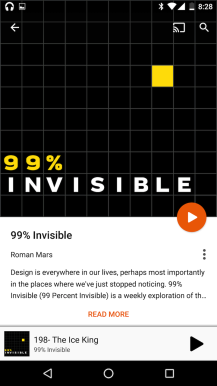 The podcast section of Play Music looks very similar to the rest of the Play Music app with its cards layout, orange hues, and focus on cover art with small expandable descriptions. 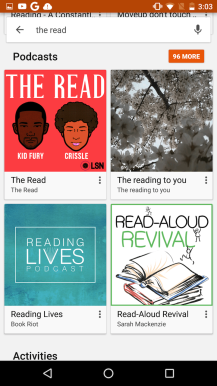 It’s divided into two tabs for featured shows and your subscriptions, with a search bar at the top. However, our tipster Curtis points out that the search function is universal across all of Play Music for now, which means that you’ll get songs, albums, artists, playlists, and videos before you even see the podcasts in the results. 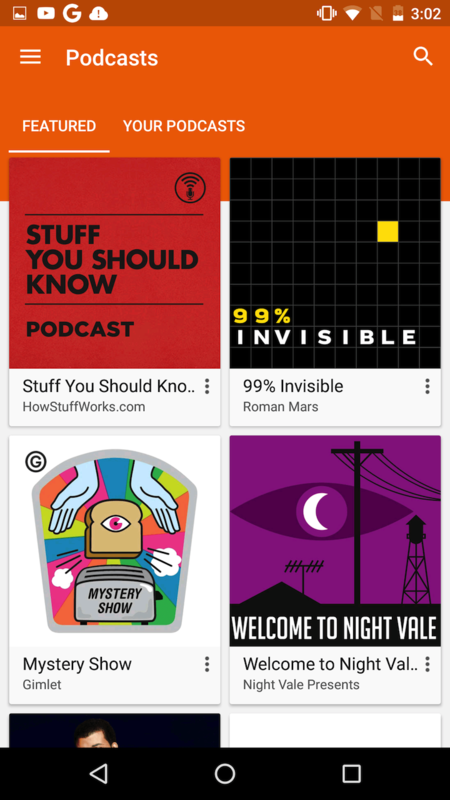 Surely Google could limit search in the Podcasts section to, well, just podcasts. 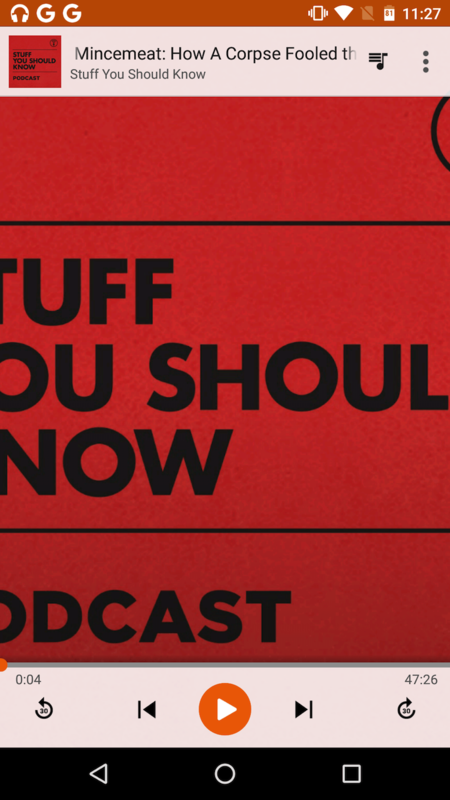 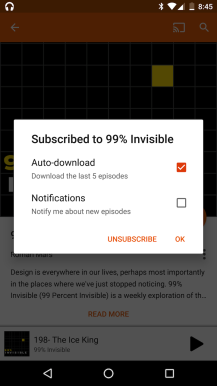 A show’s page features its artwork front and center with a floating play button, quick actions to subscribe to or share the show, and an expandable description with a list of episodes. 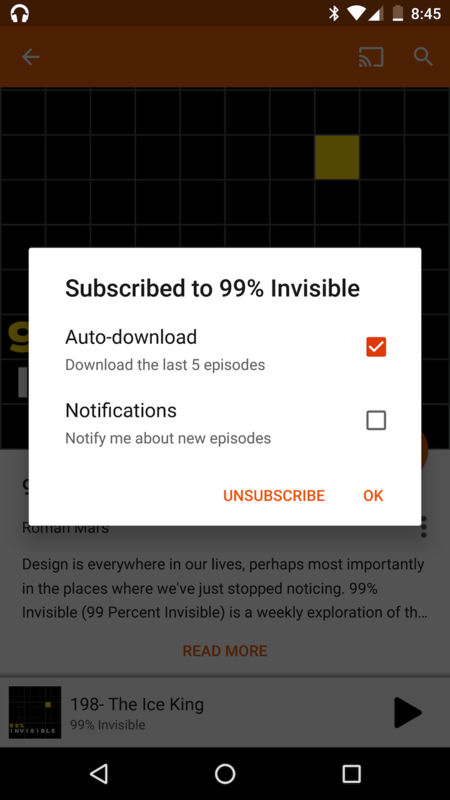 When you subscribe to a podcast, you also get asked whether you want to automatically download the last 5 episodes and get notified about new releases. 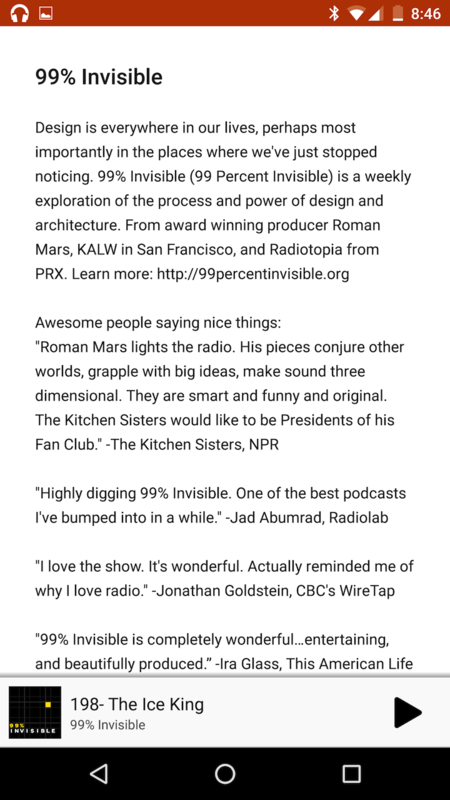 And finally, the Now Playing screen is very similar to that of the Play Music songs, except that the thumbs up and down icons have been replaced with 30s backward and forward skip buttons — a necessity in any podcast player. 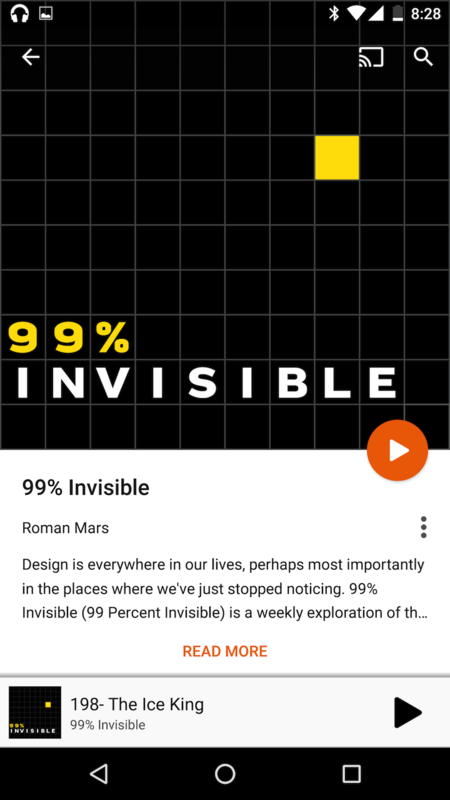 For now, even though everything seems functional and well integrated with the rest of Play Music, the podcast feature is pretty barebones. 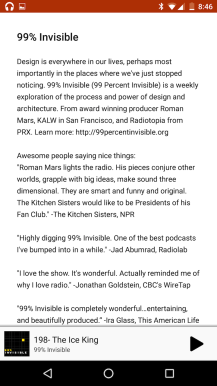 It should do the job for those who want to dip their toes into this radio-like thing, but for seasoned podcast addicts like me, there’s a lot of missing functionality: variable playback speed, auto-skip, playlist management, OPML import and export, and so on. We’ll hopefully see those in later updates to the app.